Our organization holds expertise in manufacturing and supplying highly effective Sec-Propyl. Our range includes Sec-propyl alcohol, Sec-propyl amine, Sec-propyl chloride and Sec-propyl iodide, to name a few. These are formulated using finest ingredients under utmost hygienic conditions. As per the demands of our valued clients, we offer our range in bulk quantity and deliver the same right on time. 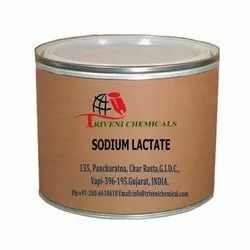 Sodium Lactate (72-17-3) is White powder. 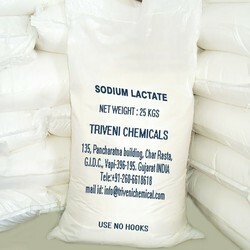 It is also known as Sodium 2-hydroxypropanoate, Sodium DL-lactate and Lactic acid sodium salt. Sebacic Acid (‎111-20-6) is White Powder. it is also known as Decanedioic Acid and 1,8-Octanedicarboxylic Acid. Storage: Keep container tightly closed. Keep container in a cool, well-ventilated area. Sodium Lauryl Sulphate (151-21-3) is white or cream-colored solid. It is also known as Sodium dodecyl sulfate. Sodium Lactate (72-17-3) is White powder. Storage: Keep container tightly closed. Keep container in a cool, well-ventilated area. 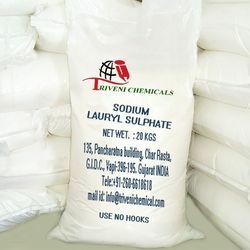 Sodium Lauryl Sulphate (151-21-3) is white or cream-colored solid. Storage: Keep container tightly closed. Keep container in a cool, well-ventilated area. Sodium Methylparaben (5026-62-0) is White Powder. Storage: Keep container tightly closed. Keep container in a cool, well-ventilated area.